Even though I JUST recovered from my Thanksgiving feast, I am already gearing up for more holiday dinners and sweet treats! I’ve been taking advantage of this festive holiday season to eat all the little goodies I could swindle from my caretakers! They are always careful not to over-feed me, because that could lead to some serious health problems. 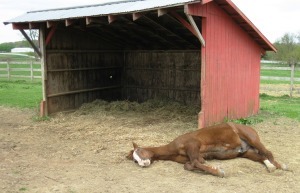 When humans overeat they may need to spend a couple of days at the gym, but when horses overeat, it could be deadly! Have you ever heard the phrase, “Don’t look a gift horse in the mouth?” Ever wonder what it means? Today, it means to be thankful for a gift (even if you secretly want something better) and don’t take something given to you for free for granted; but the roots of the phrase go back to when horses were used for everyday work, and when people depended on them for survival. Did you know you can tell a horse’s age by examining its teeth? I ask because to understand the phrase, “Don’t look a gift horse in the mouth,” you should know how to estimate a horse’s age. Age – is it really just a number?? Last week, the Equine Science Center was well represented at the first Dorothy Havemeyer Foundation Equine Geriatric Workshop. That means that a bunch of scientists and veterinarians got together to talk about old horses – one of my favorite topics! Hello again! I’m excited and proud to announce a new addition to Equine Science 4 Kids – “Fun on the Farm“ – an interactive game based on the environmental impact of horse farms! Do you remember my pal Frankie? She starred in “Horses on Treadmills? 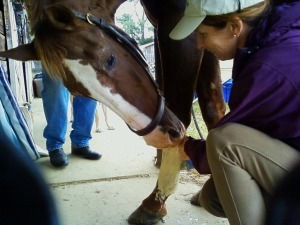 !” here on Equine Science 4 Kids! Well, she is back along with some of my other friends from the Equine Science Center. Take the new Equine Exercise Physiology Laboratory virtual tour on the Equine Science Center website. It’s going to be another great week for horses and horse-people in New Jersey! This Friday, Saturday, and Sunday is the New Jersey State 4-H Championship Horse Show. Young equestrians from all over the Garden State who have advanced from their county shows will be competing in different events, such as Western and English riding, Driving, and Dressage. 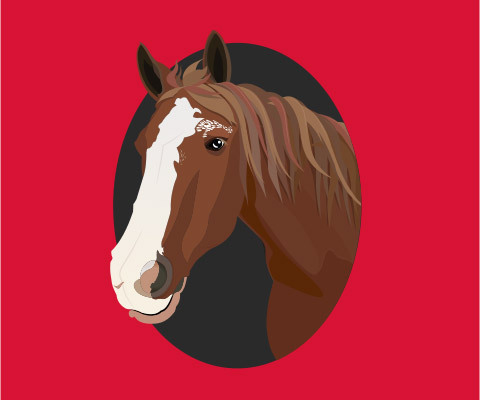 Have you had a chance to check out the Ryders Lane Virtual Tour on the Equine Science Center website (https://esc.rutgers.edu/rlp/rl_virtual_tour.htm)? There you can find all kinds of cool information about what farmers, particularly horse farmers, can do to keep the environment clean. My ears were burning last week, and it wasn’t because of the heat! People were talking about me!